As you can see, the Northern areaof Vietnam is always an attractive destination for many tourists coming from all over the world. Spend 8 days to Discover Vietnam through Tour Sapa and Halong Bay will be an great experience and the best chance to you can explore the most typical places in northern Vietnam with the mountain and the bay. 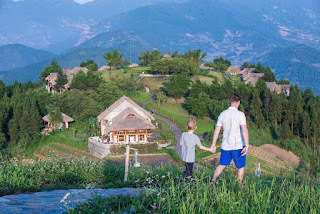 If such in mountainous area, you will fall in love with Sapa immediately from the first sight by its stunning scenery, cool climate, the colorful markets, the diverse cultural life of ethnic minorities along with the trails endlessly long. And of course, trekking will be an indispensable activity for a perfect trip here. Believe me! Sapa will be an impressive place where you will have opportunity to enjoy the most beautiful moment of nature throughout day. In condition, you are looking for one of the most beautiful bays in the world to satisfy your passion through a wide range of excited activities like kayaking, cave climbing, visiting the floating fishing villages or just simply sitting on the sundeck for a glass of wine. 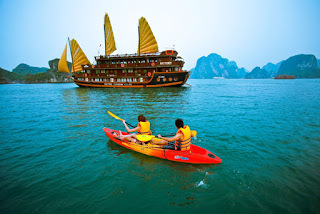 Let's come to Halong Bay. Surely, this UNESCO World Natural Heritage site will hypnotize you.